Chopard XL Chronograph Automatic Sport Reference 158961-3002 SS! 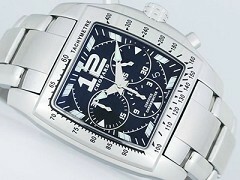 Chopard Tycoon Chronograph Certified Chronometer! Auction!